Over the last few decades, the research in cultural, media, and literary studies on queer art concerning film, television, music, and literature tended to focus on neoliberal representation strategies like the mainstreaming and the international proliferation of queer subjects. While visibility constitutes one important aspect of emancipation for people of any so-called minority or less privileged group, recent developments in contemporary queer art challenge the idea that representation alone and assimilative mainstreaming especially are the key to a more just and open-minded global society. 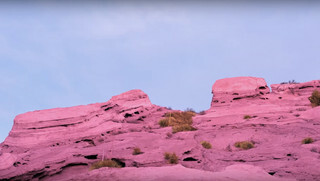 Based on the fundamental assumption that cultural productions, comprising all art forms, have important influences on the perception of and the discourse on political and social issues, this doctoral dissertation project makes a point of analyzing potentially more progressive art on queer topics with the approach of José Esteban Muñoz’s theoretical concept of queer utopia. In contrast to assimilative representation strategies which often emphasize narratives of queer struggle that are likely to evoke sympathy from a mainstream audience, queer utopian depictions of LGBTIQ* experience avoid this compulsory referencing to a heteronormative society by imagining a different world that is not infiltrated by normalizing, homophobic, and sexist structures. Instead of reproducing images of queerness composed of grief, rejection, shame, and loss on the one hand or a toning down of queer experience and expression in order to conform to heteronormative ideals on the other hand, queer utopia provides acts of resistance and refusal to the state of the world by transcending it. Queer utopia thus creates positive and idiosyncratic images of queerness as a counterpart to the queer negativity initiated by Leo Bersani and Lee Edelman. Thereby, it functions as both critique of and alternative lookout for a world that stigmatizes everything that does not fit the frame of the ‘normal’. In Cruising Utopia, Muñoz states that in “the prison that is heteronormativity, the straight world” (39), we can only ever imagine queerness in the future, on the horizon, and as utopia. It is therefore only through the desire for “that thing that lets us feel that this world is not enough, that indeed something is missing” (1) that queerness is fully actualized in its detachment from heteronormative time and space. Muñoz sees sites of such imaginations – which he calls “avatars of a queer futurity” (22) – especially in cultural production. While according to Muñoz such avatars exist both in the present and the past, in this dissertation project it is argued that there seems to be a development in queer productions of the most recent years that suggests that there is an increasing awareness of alternative depictions of queer life which can be attached to the queer utopia discourse. Projects like HBO’s comedy-drama television series Looking (2014–2016), Janelle Monáe’s visual album Dirty Computer (2018), Hanya Yanagihara’s novel A Little Life (2016), or Perfume Genius’s long-player No Shape (2017) all hint at new comprehensions of queer liberation in US-American pop-culture. Here, identity politics are often pursued almost exclusively within a queer context but not against a heteronormative foil. Thus, conflicts that, in reality, arise out of the discrepancy between non-heterosexual desire and the dominance of a heteronormative order, are ‘over’-corrected to the extent that being ‘different’ is credibly depicted as the norm, a circumstance which can be described as normativity of difference. On a further level, these dynamics reactivate Jean Baudrillard’s term of the hyperreal in the sense that such depictions of queerness are, at once, naturalistic (in their attention to detail and credibility) and imaginative (in their exclusion of a heteronormative order). They thereby disrupt a clear-cut division of both entities: “A hyperreal henceforth sheltered from the imaginary, and from any distinction between the real and the imaginary” (Baudrillard 166). Taking into account intersectional questions of race, gender, (dis)ability, diversity, and privilege, such hyperreal enactments of queer utopic imaginations serve as a basis to discuss the liberating effects these productions can have on queer people who are often marginalized to places of non-belonging in our societies. Frederic Rukes earned his bachelor’s degree in English Studies and German and General Literary Studies at RWTH Aachen University in 2012. He later completed his master’s degree in English Studies at Cologne University in 2017. 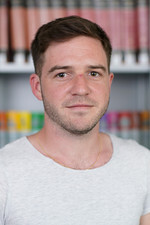 For his master thesis, entitled “'Strangeways, Here We Come' – Queer Discourse and the Disruption of Normativity in Morrissey and The Smiths“, he received the Jenny Gusyk Early Career Researcher Award 2017 for an outstanding academic thesis in the field of gender and/or queer studies. During his master studies, Frederic Rukes worked in the English Department for the chair of Prof. Beate Neumeier as general assistant for her quarterly publication, the peer-reviewed academic journal gender forum. Since April 2018, Frederic Rukes is a Marie Skłodowska-Curie (Horizon 2020) fellow of the “a.r.t.e.s. EUmanities global” doctoral program at the a.r.t.e.s. Graduate School. His dissertation is supervised by Prof. Beate Neumeier (Cologne University) and Prof. Elizabeth Freeman (UC Davis). Frederic Rukes’ research interests include queer, poststructural, postcolonial, and critical theory, gender, disability, cultural, and media studies as well as pop-culture, modernist and feminist literature. „Queere Utopie – Queere Theorie und zeitgenössische Medienkultur.“ In the lecture series Und MorGen(der)?, Cologne University, 06.14.2018. “The Disruption of Normativity: Queer Desire and Negativity in Morrissey and The Smiths.” gender forum 64 (2017): 4-22. Guest editor and author of the editorial for the 59th issue “Queer Film and Television” of gender forum (2016).